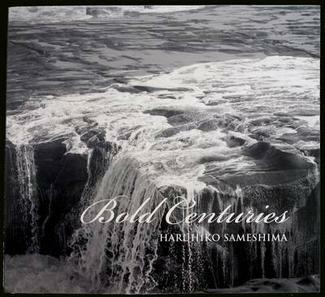 Bold Centuries: A Photographic History Album, by Haruhiko Sameshima (Rim Books, Auckland, 2009, $60.00); Alan Miller — New Zealand Photographs, by Alan Miller (Anglesea house, 2009, $70.00); A Man Walks Out of a Bar: New Zealand Photographs 1979—1982, by Lucien Rizos (Rim Books, Auckland, 2011). ‘The camera sits alongside the axe, the gun, the Bible and the specimen jar as colonial tools of preservation’ suggests Aaron Lister in his essay included in Haruhiko Sameshima’s kaleidoscopic Bold Centuries: A Photographic History Album. Sameshima’s Album is an ambitious project, almost a history of New Zealand photography, but presented in a non-chronological and thematic way. Enlisting a number of commentators to provide short texts, he’s gathered together a number of his photographic preoccupations from the past two decades or so, mingling his own photographs (colour, and black and white) with historical photographs, and assembled it all into meticulous arrangements according to subject matter. The result is an idiosyncratic enquiry into ‘New Zealandness’, with the unit of the photograph as an identifier, a form of measurement, a way of mapping — and perhaps claiming. Sameshima tells us he emigrated from Japan with his family in 1973 when he was fourteen: ‘Why exactly my father made the decision to leave Japan and settle his family in New Zealand remains a mystery to me, but the project seemed like an exciting adventure . . .’. In a way, Bold Centuries reflects that sense of excitement and wide-eyed wonder: he lays out his images as a seductive mosaic of pictorial souvenirs — as a scrapbook, reminiscent of the kind that many of us, as Kyla McFarlane points out in her essay, may have assembled as children. Except that Sameshima is also, by his juxtapositions, implicitly subjecting what he shows us to quizzical examination, rather than merely positioning them as objects of reminiscence. Making historical comparisons — placing found postcards and found cigarette cards alongside photographs by mid-twentieth century National Publicity Studio photographers, and late nineteenth-century scenic photography firms such as Muir and Moodie, and the Burton Brothers, as well as beside topographic photographs by expeditionary colonial photographers — Sameshima highlights the utopian quest behind New Zealand’s settlement. Sameshima’s ‘album’, with its consideration of the epic, with its taxonomies that group various photographs by subject, from ‘beautiful’ waterfalls to beautiful photographs of the ‘visual pollution’ of twenty-first-century wind farms, Sameshima challenges us to look again at how we arrive at our visual conventions — how we ‘see’. Bold Centuries — journeying from close-ups of the antique wallpaper in the Kerikeri Mission House, to dioramas in the Auckland war Memorial Museum, to the Cook Strait Ferry Terminal to ‘picturesque Lake Manapouri’ — is imbued with a doubting sceptical quality about touristic ‘image factories’ of all kinds. Is the photographer essentially an unreliable witness? Do cameras make good liars? On the cover of the book, a wide river swirls and foams and then cascades as a cataract into a cauldron of froth. This might stand for today’s image torrent, at once powerful, threatening, evanescent and disorientating, which we must navigate. Active in many areas of New Zealand photography, Sameshima reveals himself here as a broad-spectrum searcher of our accumulated nationalist photographic depictions — from the clichéd iconic tropes of the lone kowhai flower or crowded sheep run, to the repackaged eco-friendly landscape-as-theme-park experience — for what they might reveal, playing different photographic traditions off against one another. Sameshima shows how that the mysterious and rarefied Sublime of landscape art rhetoric has become the ‘sublime’ of galloping consumption, to be ordered from a catalogue. But if capitalist advertising now ‘owns’ much of this imagery, making it contentious, even untrustworthy, adept use of photographic technologies also allows that ownership to be contested, critiqued and even subverted. Sameshima’s witty archives of imagery relish the paradoxes and complexities of the photograph. A photograph can be at once realistic and illusionistic, superficial and profound — a veneer, or surface, invested with emotional depth. The photographer as collector, he employs repetition and monotony to tease us with the scrapbook as scrapheap — photographs of obsolescent industrial objects gathering dust — and destroys the notion of uniqueness by producing, in his ‘typologies’, images interchangeable with those of Wayne Barrar, David Cook and Mark Adams by way of ‘quotation’. Yet, examined carefully, Sameshima retains his own signature touches, and perhaps most characteristically a certain complex mood: gentle longing undercut by wry self-awareness; a delicate, even sweet, hovering melancholy. 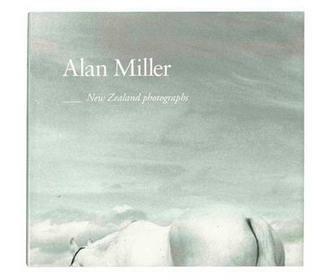 If Sameshima’s methodology resembles that of scientific enquiry, Allan Miller’s photographic stance in Allan Miller — New Zealand Photographs is that of a nature mystic. As Martin Edmond puts it in a short accompanying essay, Miller’s photographs of the landscape ‘seem to raise the quotidian to another power’ . . . his photographs ‘marvel’ at the world and its numinous mysteries, its ‘true face’. Technically, Miller is old school: for these images he’s used a classic Leica camera and Kodak black-and-white film. So, in a way, he is a magician of the darkroom, emphasising the alchemical, his camera’s black vault a progenitor of dreamy musings. The prints have a granular quality, at times a sticky-as-tar quality. They are, design-wise, painterly; in an interview in the book with Kriselle Baker Miller invokes Colin McCahon as a force for revelation of what landscape might be — an exemplary visionary. Miller works then with the primal, with shadows and radiance. His is the rhapsody of things as they are, but his wish is to push on past that recognition, seeking the mystery at the heart of rhapsody. Put simply, his subjects are the seasons, as in the shrouded, autumnal aura of ‘Full moon, Bay of Islands, April 2002’, and the organic, as in the close-up of a seed-pod in ‘Nikau, Punakaiki, 2004’. We think of photography as a fast medium. Miller’s self-appointed task is to slow it down, and then examine the edges of perception thereby made visible. His weighty images offer a sense of estrangement from the everyday; his skewed shadowplay seeks evocations of spookiness and spirit-beings, traces of the Gothic sublime, the consideration of a Romantic poet’s eye-view, where everything is a metaphor for time and decay, collapse and entropy, transcendence and eternity. Light, here, is a material substance: smearing and streaking, glistening on the sea, muffled by mist, veiled by condensation, twinkling through rain from a sunshower that steams off a corrugated iron roof in the backcountry. A charred-looking tree set starkly against the winter snows of Mount Ngauruhoe and slithery surfaces of a Rotorua mudpool forming ominous whorls suggest a world of portents and messages. Broody and moody, but also exhilarating, Miller is the photographer as believer. Showing us ragged plumes of toe-toe blending harmoniously with travelling clouds, or taking us deeper into the mottled chiaroscuro of a chrysalis, or tree bole, and promising resurrection of a kind, or at least regeneration, he makes you a believer too. In French critic Roland Barthes’ book Camera Lucida: Reflections on Photography, Barthes describes early cameras with their wooden cabinets as ‘clocks for seeing’. 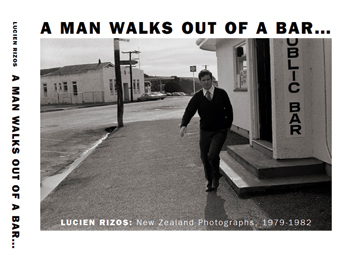 You could apply the same metaphor to the retro-vision offered by Lucien Rizos’s photo-book A Man Walks Out of a Bar: New Zealand Photographs, 1979—1982. Its sixty-six black-and-white photographs, selected from an accumulation of thousands made while Rizos was a violinist on tour with the New Zealand Symphony Orchestra, offer the sensation of time travel, and also something of the sensation of their instantaneous making. Essays by Damian Skinner and Ian Wedde ruminate on lost time recovered in these photographs. What once was urgent has been locked into the permanent Now of yesterday.